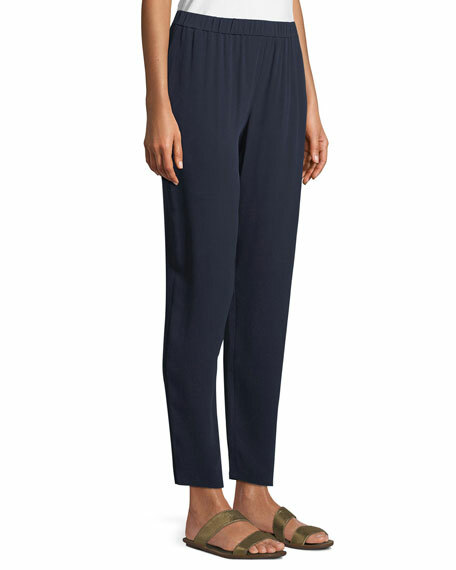 Eileen Fisher georgette crepe slouchy pants. Approx. measurements: 10.2" rise; 29" inseam.